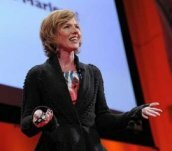 I just found out my TED.com talk on fashion and copyright was deemed Upworthy. As you probably know, Upworthy is a crafty outfit that goes to great lengths to increase viewership of video content that serves some kind of socially progressive purpose. Part of their process includes generating multiple potential headlines and photos, and testing the different combinations on different platforms to see which combos attract the most views. I must say, it never occurred to me that my argument was something “hippies” would love, but there ya go! Attention Minutes measures everything from video player signals about whether a video is currently playing to a user’s mouse movements to which browser tab is currently open — all to determine whether the user is still engaged. The result is a fine-grained and unforgiving metric that tells us whether people are really engaged with our content or have moved on to the next thing. At the Norman Lear Center, where I’m managing director, we have been studying the “Attention Economy” for several years, and now with our Media Impact Project, we have the opportunity to develop tools that accurately measure human attention. Needless to say, there’s a great deal of debate about how this might be done and so we invited several experts in the field — including Daniel Mintz from Upworthy — to debate the topic on our new website, The Fray. Launched with a skeptical piece by Richard Tofel from ProPublica, we solicited responses from ChartBeat, LunaMetrics, the Financial Times, Parse.ly and Columbia University. This is not a debate that’s going to be settled any time soon, but I sure hope I find out whether my little video turns out to be must-see-TV for hippies. 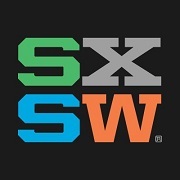 Please join me on March 12 for my panel at SXSW on "Playing Nice: Redesigning Online Commenting." How can we improve discourse online and make it more inclusive? Will Google's new AI tool successfully slay the trolls? Or do we need to do a better job gamifying commenting? Find out more. It's a techie foodie delight! I delivered the keynote presentation during Gastronomy & Technology Days in Barcelona. Sponsored by the most famous chef in the world, Ferran Adria, and Telefonica, the biggest telecom company in Spain, this event brought together people exploring the intersection between new technology and food. Watch video of my talk. I had so much fun judging the Real Food Media Contest last year that I did it again this year. And I'm thrilled to see that Tom Colicchio, Padma Lakshmi, Jamie Oliver, Michael Pollen, Eric Schlosser, and Alice Waters have signed on as well. We looked at short films that tell great stories about sustainable food and farming: Check out the finalists and the winner.. It was exhilarating to participate in a five-day workshop in Mexico City hosted by the World Bank. Researchers, media makers and development experts from 15 countries shared knowledge about entertainment education techniques and worked together to develop new behavior change campaigns across Africa and South America. Find out more. 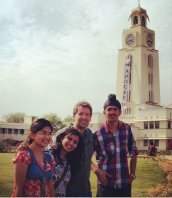 I took a trip to India to speak at APOGEE, a technical extravaganza including over 6000 students, 100 colleges, and 80 technical events at the Birla Institute of Technology and Science (BITS) in Pilani. I was joined by a star-studded crew, including Mansoor Khan, a titan of the Indian Film Industry, and Dr. Walter Lewin, Professor Emeritus of Physics at the MIT. Check out the video of my talk on the social impact of social media in India, where digital social networking is booming (especially among women). Find out more about the annual event here. I attended a timely workshop at MIT on The Evolving Culture of Science Engagement. Sponsored by the American Association for the Advancement of Science and Culture Kettle, we explored how popular culture helps frame, inform and distort our understanding of science. Read the report. I met Bob Garfield, host of NPR's popular program "On The Media," at a terrific conference hosted by TTI/Vanguard, where both of us gave talks on some big problems in the media industry. Afterward, Bob interviewed me about Netflix's data-driven decision to produce the edgy "Orange is the New Black," and included it in an episode called "Dare to Stream.". Drexel University devoted its Great Works Symposium to the matter of media -- specifically, how we generate images of war. I gave a lecture about my research on how the War on Terror is depicted in the most popular dramas on television. Check out a short video about the research (see if you recognize the narrator's voice) and the full report. The findings might surprise you. Are Films as Powerful as Drugs? 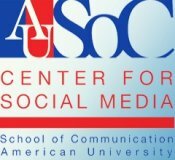 It was great to be able to talk about my research on the tremendous impact that media can have on people's lives at the Media That Matters conference at American University. Here's some video of my remarks on about how filmmakers should think about treating their products like drugs. I was thrilled to join Gail Berman, the first and only female executive to hold the top posts at both a major film studio and television network, and Jacqueline Hernandez, COO of Telemundo, to talk about the importance of diversity in media organizations. This event was co-sponsored by Ms. Magazine and USC Annenberg’s Center on Communication Leadership & Policy. Watch the video. Guy Raz interviewed me about the culture of copying in the fashion industry in what he called “maybe our best show ever.” The show included one of my all-time faves, Steven Johnson, and Mark Ronson, who produced such inspired work with Amy Winehouse (may she rest in peace). Check it out!. I was extremely proud when TED.com picked up this talk that I delivered at TEDxUSC, the site of the first TEDx in the world. My talk focuses on the fascinating culture of creativity in the fashion industry, where copying is actually legal. I was very proud to share the stage with Madeleine Albright, Eve Ensler, Donna Karan, Sheryl Sandberg and a slew of other impressive speakers at the inaugural TEDWomen. My topic here? Social Media & the End of Gender. 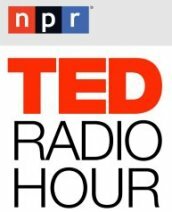 My fifth talk for the TED network is based on one of my favorite research projects at the Norman Lear Center. It was a special pleasure to speak at the stunning Segerstrom Concert Hall in Costa Mesa, California. Watch the video . TEDxPHX: Can Movies Really Change People? Here's my most recent talk which is about how movies can have a measurable impact on people's knowledge and beliefs.